Tsar Nicholas and his family waited patiently in the basement. For much of 1918, the Romanov family had been the captives of the Bolsheviks who overthrew Nicholas II in the bloody Russian Revolution, and they were used to moving from place to place. They had no idea they had reached their final destination. Suddenly, armed thugs rushed in. Yakov Yurovsky, a revolutionary who led the Bolshevik’s secret police, told Nicholas he was about to be executed. “What? What?” the tsar exclaimed. It was too late: The murder of the entire Russian imperial family, the Romanovs, had been ordered by the highest levels of Soviet leadership. But the execution-style killings were just the beginning. The lifeless bodies of Russia’s last monarch, his wife Alexandra, and their five children, Alexei, Olga, Tatiana, Maria and Anastasia, were about to go on a journey that would stretch over years, stoke controversy and stump historians. The cellar of Ipatiev house in Yekaterinburg, after the Execution of the Imperial Family in the night in July 1918. The murder of the imperial family was no simple affair. It took multiple attempts and 20 minutes to kill every family member, and Yakov Yurovsky and his men had to use the butts of their guns, bayonets, knives and brute force to finish off the Romanov children and their servants. Then it was time to cover up the murders. Chaos ensued as Yurovsky and his men drove the bodies into the forest, stripped them down, confiscated their jewelry and the jewels that were hidden in their clothing, and buried them. As they did so, they covered them in acid and buried them. But the grave, located in a mine, was too shallow, and when the men tried to collapse the mine with grenades it failed. 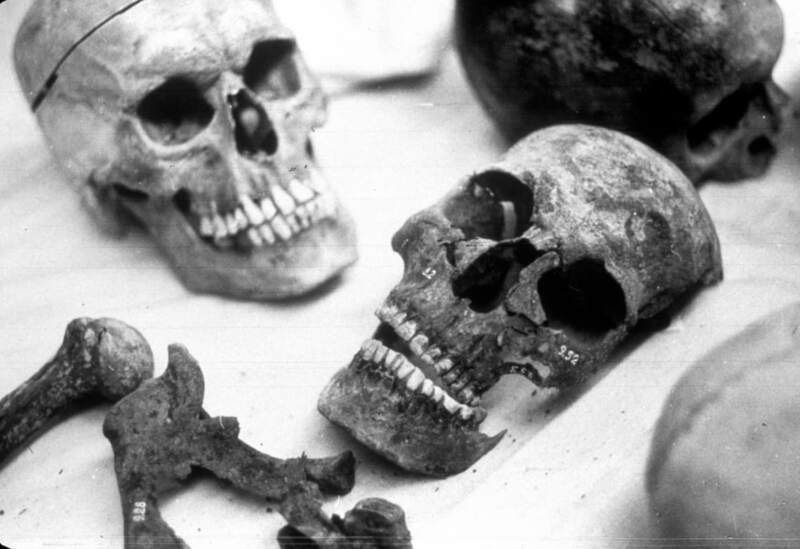 Instead, they disinterred the bodies as they frantically searched for another grave site. Finally, they dug another shallow grave, and, after abusing the corpses even more, buried all but two of the family members. Two of the children—likely Maria and Alexei—were burned and the remnants of their bodies buried in another, separate grave nearby. 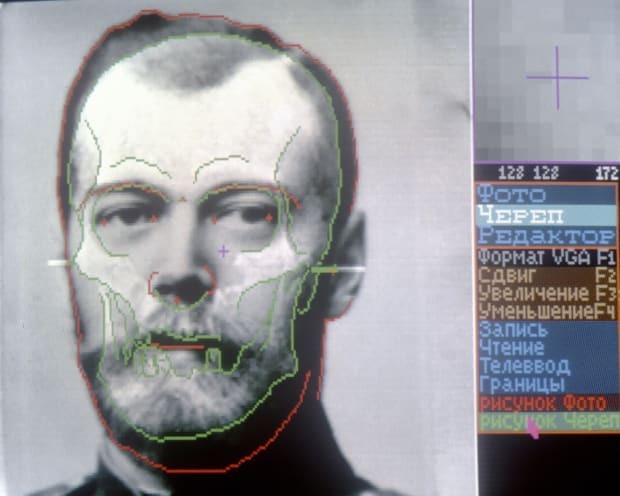 The examination of Tsar Nicholas II’s skull by photographic superimposition after the discovery of bones recovered in 1991.